Chula Vista Dentist Blog - Deanna Risos, DMD provides general dentistry and cosmetic services such as teeth whitening, dental implants, dental veneers, root canal and more!Chula Vista Dentist Blog | Deanna Risos, DMD provides general dentistry and cosmetic services such as teeth whitening, dental implants, dental veneers, root canal and more! Dental implants are a popular tooth replacement option that gives you a similar look, feel, and function as your natural teeth. They have been used for decades to replace one or more missing teeth – when combined with bridgework or dentures – with typically over a 98% success rate. That said, the success of your dental implant placement procedure depends on finding a qualified and experienced dental implant specialist in Chula Vista, CA. Implants comprise artificial roots made from biocompatible titanium material that fuses with the underlying jawbone to provide stable support for the replacement tooth. 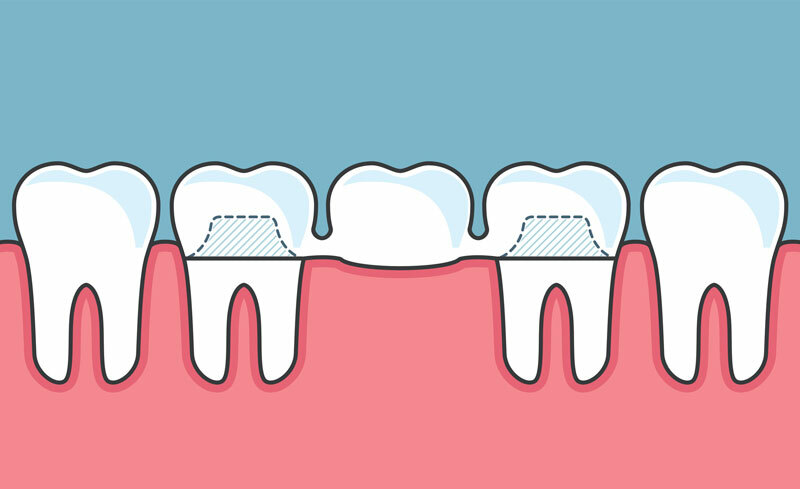 After the implant has bonded with the bone tissue and the gum tissue has healed, an abutment is attached to connect the crown to the implant. The bone grows around the implant and combines with it, through a process known as osseointegration, producing an extremely strong bond. Second visit: Surgical placement of the implant into the jawbone. Healing takes several months. Third visit: Placement of the artificial tooth (crown) or teeth (dentures) onto the implant. The crown is customized to match the size, shape, and color of adjacent teeth to give you a uniform smile. If you are interested in implants, please schedule a consultation with a dental implant specialist in Chula Vista, CA, today. They will help you determine whether you’re a good candidate for dental implants, and recommend an appropriate treatment plan to restore your smile. 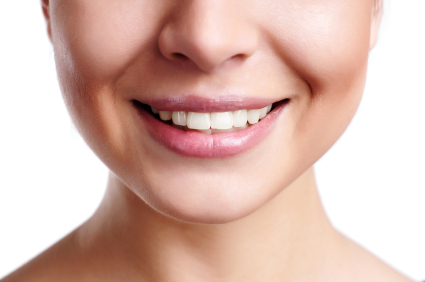 More and more people are turning to cosmetic dentistry to transform their smile and boost their self-confidence. A bright, healthy, and dazzling smile makes you appear happy and successful, which can open many doors both socially and professionally. With advances in modern cosmetic dentistry, cosmetic dentists today have the tools, materials, technology, and techniques to improve your teeth and smile using quick, painless, and cost-effective treatments. Board certification and/or recognition by a professional body implies that the dentist is dedicated to advancing in his/her field through continual learning in the latest materials, equipment, and techniques in cosmetic dentistry. Many cosmetic dental procedures require additional years of training before practice, so most general dentists only offer a limited range of procedures. Trained and experienced cosmetic dentist can perform a wide range of general and cosmetic procedures to give you the smile of your dreams. Find a cosmetic dentist who has performed numerous cosmetic dental procedures with great success. During your consultation, your dentist will create a custom treatment plan that will help you achieve the smile of your dreams, and even give you a realistic preview of what to expect at the end of your treatment. Finding the top cosmetic dentist in Chula Vista brings you a step closer to achieving a natural-looking smile that will help boost your confidence. No. contrary to popular belief that sedation dentistry is the same as sleep dentistry, it is not. The truth is you do not sleep during sedation treatment, but the effects produced by the sedative may make you feel sleepy. In fact, sedation treatment aims at keeping you awake throughout the entire procedure as you feel relaxed and calm. But what is Sedation Dentistry exactly? Sedation dentist usually uses medication to provide you with a relaxing and anxiety-free experience as you undergo your dental treatment. Dentists offer sedation dentistry to patients to ensure you receive safe, comfortable and the much needed peace of mind during your dental visit. Yes it is. Because it’s important because it addresses the anxiety that comes with dental visits. Complex dental procedures can be performed effectively without having to schedule several appointments. The experience makes you feel like the dental procedure only lasts a few minutes when in reality it might have taken hours to accomplish. Sedation treatment is the best way to achieve your dream smile if you have fears that keep you from going to the dentist. Our sedation dentistry in Chula Vista gives you the opportunity to receive recommended routine care so that you can improve your oral health. Dr. Risos is very well trained & knowledgeable about the use of oral sedatives in her office. Patients have been enjoying the benefits of sedation dentistry in her Chula Vista office for several years. Call us @ 619.482.8880 to learn more about our sedation dentistry options or conveniently contact us online. Posted in Chula Vista Dentist	| Comments Off on Is Sedation Dentistry Similar To Sleep Dentistry? Forward Science, a company that was founded with the vision to create a simpler, efficient, and more affordable oral cancer screening device that can save more lives. They manufactured OralID™ and that what Dr. Risos is using for oral cancer screening. Currently, most of the Dentists rely on observation and biopsy to confirm an oral cancer diagnosis. This traditional process often requires at least a couple weeks of time just to confirm the diagnosis before any treatment may begin. At Dr. Risos, however, oral cancer screening doesn’t involve biopsy or any type of invasive surgical procedures. In fact, many people have their oral cancer screening performed at the same time as their routine general dentistry checkup. At Dr. Risos Dental Office, we provide oral cancer screenings during our thorough dental cleanings & exams. Oral cancer screening is highly recommended at any age being one of the top cancers worldwide, while also being one of the most curable with early detection. Schedule your Oral Cancer Screening now! Posted in Chula Vista Dentist	| Tagged dental bridges chula vista, how dental bridges work, tooth bridges	| Comments Off on How Do Dental Bridges Work? A professional teeth whitening is done in the dentist’s office. When you come for your teeth whitening at our office in Chula Vista, our dentist will examine your teeth to create an appropriate treatment procedure. In-office teeth whitening allows the dentist to use a more powerful whitening gel and a specialized light or laser that ensures bleaching happens faster. The dental hygienist puts a rubber shield or gel on the gums to protect them. A whitening product is then applied to your teeth using a specially made tray that fits perfectly into your mouth. This substance contains an active ingredient of hydrogen peroxide and is activated by laser light. As the active product breaks down, oxygen gets into the enamel on the teeth and the tooth color is made lighter. Dr. Deanna Risos provides comprehensive teeth whitening for you and your family. She is committed to helping you restore the quality of your smile by making your teeth sparkling bright and beautiful. With her expertise and experience, you can expect a comfortable dental experience free from anxiety and fears. Enhance the quality of your smile, with professional teeth whitening in Chula Vista. Contact us to discuss the procedure with Chula Vista best dental hygienist, Dr. Deanna Risos. Schedule your free appointment today. Posted in Chula Vista Dentist	| Tagged best dentist in chula vista, teeth whitening, teeth whitening in chula vista	| Comments Off on Why Would I Need Teeth Whitening?